Fielding two new Porsche 911 RSR racers, the Porsche GT Team tackles Round Nine of the IMSA WeatherTech SportsCar Championship at the VIRginia International Raceway (VIR) on August 27. The 510 hp racecar, which faces strong competition in the fiercely contested GTLM class, was completely redesigned by Porsche Motorsport in Weissach, Germany based on the high-performance 911 GT3 RS sports car. On July 22 at Lime Rock Park in Connecticut, the 911 RSR scored its maiden victory worldwide. Porsche’s customer teams are also strongly represented on the tradition-steeped 3/27-mile, 17-turn racetrack in southern Virginia, campaigning four 911 GT3 R in the GTD class. Like at Lime Rock, the prototypes will not contest the third to last race of the season, which means that overall victory will definitely go to a GT vehicle. Porsche legends Hurley Haywood and Peter Gregg occupy a very special place in the eventful history of the Virginia International Raceway. When the first IMSA GT race was contested on the circuit in 1971, they won in the Porsche 914-6 GT. The winners of the Lime Rock race, Patrick Pilet (France) and Dirk Werner (Germany), share the No. 911 Porsche 911 RSR at VIR. 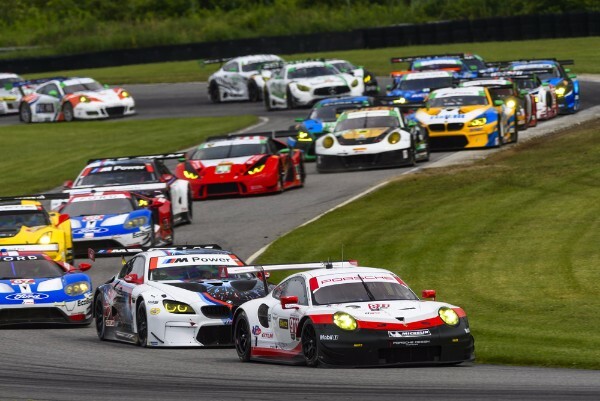 Laurens Vanthoor (Belgium) and Gianmaria Bruni (Italy) finished in second-place at both Lime Rock and Road America – the most recent round of the WeatherTech Series – in the second 911 RSR, the No. 912. Four customer squads will campaign the 911 GT3 R. The No. 73 Park Place Motorsports entry shared with Porsche factory driver Jörg Bergmeister (Germany) and Patrick Lindsey (Santa Barbara, California) won the class at Lime Rock. 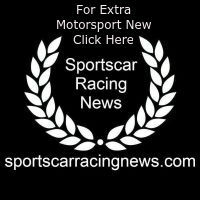 North America’s sole representative on the Porsche “works” squad, Patrick Long (Manhattan Beach, California) returns to the No. 28 Alegra Motorsports 911 GT3 R. He and co-driver Daniel Morad (Canada) shared the Alegra entry at Lime Rock, finishing in third-place. The Tampa, Florida-based program won the season-opening Rolex 24 At Daytona. The No. 54 CORE autosport entry will be driven by Jon Bennett (Charlotte, North Carolina) and Colin Braun (Harrisburg, North Carolina) while the No. 50 WeatherTech Racing Porsche 911 GT3 R races with Cooper MacNeil (Hinsdale, Illinois) and Gunnar Jeanette (Salt Lake City, Utah) as it did at Road America. Marco Ujhasi, Director GT Factory Motorsports. Sebastian Golz, Project Manager GT Customer Motorsport. Dirk Werner, Driver, No. 911 Porsche GT Team Porsche 911 RSR. Gianmaria Bruni, Driver, No. 912 Porsche GT Team Porsche 911 RSR. Patrick Long, Driver, No. 28 Alegra Motorsports Porsche 911 GT3 R.
Jörg Bergmeister, Driver, No. 73 Park Place Motorsports Porsche 911 GT3 R.
Porsche Entries at VIRginia International Raceway. A total of 33 Porsche Motorsport-built racecars across three series: the IMSA WeatherTech SportsCar Series, IMSA Continental Tire SportsCar Challenge are racing at VIRginia International Raceway this weekend and the IMSA Porsche GT3 Cup Challenge USA by Yokohama. Total Car Count: Six (6) Porsche entries will be competing in the IMSA WeatherTech Championship at the Michelin GT Challenge at VIR. GTD Class – Four (4) Porsche 911 GT3 R.
Total Car Count: Six (6) Porsche Motorsport-produced entries will be competing in the Biscuitville Grand Prix.